March is the month when we’re all desperately looking forward to spring, but in reality the weather in the UK and across much of Europe is still chilly. 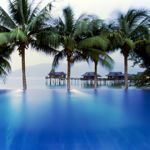 But go just a little bit further and there are some fabulous mid-haul honeymoon choices and of course plenty of long-haul escapes to make all your wedding guests green with envy. In 2020, Easter Sunday falls on 12 April. Mid haul – a flying time of between 3 hours and 7 hours – offers the best value-for-money honeymoon if you’re looking for guaranteed sunshine without spending too much money on flights, or too long in the air. Egypt and Morocco are both romantic destinations that are warming up nicely in March. It’s 5 hours flying time to Egypt where you can take a Nile cruise and explore the Valley of the Kings. 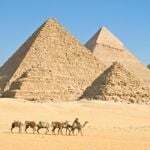 Kick off your honeymoon with a few nights in Cairo to see the Pyramids. It’s only a 3-hour flight from the UK to Morocco where you’ll find warm sunny days and pleasantly cool evenings. For bells-on luxury, stay at the fabulous Kasbah Tamadot in the Atlas Mountains. If your budget is tighter, check out this seven-night honeymoon featuring a hot air balloon flight and stays at a stylish riad in Marrakech, a desert camp and a kasbah in the Atlas Mountains. 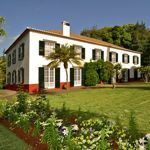 It’s only a 4-hour flight to Madeira which offers perfect conditions for an outdoorsy honeymoon with accommodation in romantic restored quintas. 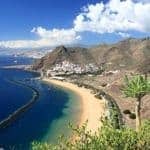 In the Canaries (21ºC, 7 hours of sun), Tenerife offers plenty of things to do – from whale watching to climbing a volcano – and lovely hotels including the adults-only Red Level at Gran Melia Palacio de Isora, and The Ritz-Carlton Abama. It’s also 4 hours flying time from the UK. If you are happy to fly for 6 hours you can get to the Arabian Gulf, with an average 10 hours of daily sunshine and temperatures of 32°C. For glamour and buzz you can’t beat Dubai and its fabulous array of hotels. 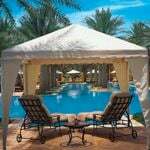 I love The One&Only Royal Mirage Arabian Court which is stylish and intimate. Away from the crowds of Dubai, the Fairmont Ajman and the all-inclusive Iberotel Miramar Al Aqah Fujairah are both exciting options. It’s high season in the Caribbean and a great time to enjoy the glorious beaches, warm hospitality and superb hotels. Expect average highs of 30°C, with eight hours of daily sunshine. 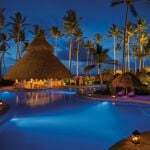 I recommend this collection of small luxury hotels in the Caribbean. 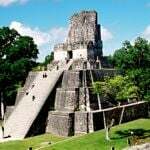 Mexico combines great beaches with vibrant culture and ancient Mayan ruins – you should combine time on the beach with some sightseeing. The five-star hotels are great value. If you want to indulge yourselves in an adults-only, stress-free environment, look at Sandals which has a great collection of all-inclusive resorts including recently-opened properties in Barbados and Grenada. See the latest offers from Sandals. Beach babes should consider the long thin coral island of Anguilla which has more than 30 perfect white-sand beaches, some fantastic hotels and a great collection of high-end restaurants. 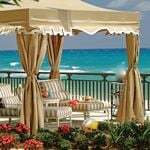 Top hotels include the Moorish-styled Cap Juluca, the Four Seasons (see the rooftop suites with private pools) and CuisinArt which has an excellent spa. Jamaica has it all: magnificent beaches, verdant mountains, local culture, busy nightspots, great food and stylish hotels, the best of which is Jamaica Inn. Another island with plenty to see and do beyond the beach is St Kitts where you can zip-wire through the rainforest, visit forts and sugar plantations and tour the island on a scenic railway. Stay at the stylish Belle Mont Farm or – if you want resort facilities – the St Kitts Marriott. In March there’s also a chance to see turtles nesting on the beach. 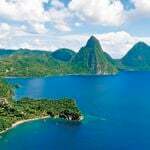 Other outstanding Caribbean hotels include Anse Chastanet on one of the prettiest beaches in St Lucia. 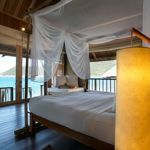 In the north of the island is the gorgeous 30-suite East Winds which offers a cosy friendly vibe and all-inclusive dining. For old-school romance on the ocean waves, you could join a tall ship cruise with Star Clippers. Explore more honeymoon destinations in the Caribbean. For romance it’s hard to beat a road trip across America – especially with a few luxuries added along the way. You could even rent a convertible Mustang with the luxury tour operator Exsus which says its most popular itinerary for honeymooners is the classic 10-night California Highlights Trip from San Francisco to Los Angeles. Or head out to the desert for a romantic drive through Las Vegas, Palm Springs and Southern California. You could head to Florida where fashionable South Beach and gorgeous seafront hotels such as Ocean Key Resort & Spa and South Seas Island Resort on Captiva Island are best combined on a fly-drive. 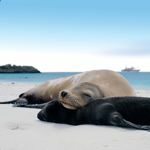 In South America, Ecuador & the Galapagos is another winning combination – the Amazon jungle, Andean peaks, cloud forests and colonial cities of the mainland, and the natural wonders of the islands where you can snorkel with sea lions and turtles. Or look further south to Chile where you can explore superb countryside from the lunar landscapes of the Atacama Desert to the glaciers and lakes of Patagonia – not forgetting the renowned wine region. The best time to visit is from November to March. Argentina with its gauchos and tango, the spectacular glaciers and stunning lake scenery of Patagonia, and the elegant style of Buenos Aires before exploring the country’s famous vineyards. Local specialists Dehouche have offices in the country for insider gems to transform your trip. There is never a bad time for a honeymoon in Brazil. I would start with a few days in Rio de Janeiro before crashing on a beach in Bahia for some stylish rest and relaxation. Find out more from local experts Dehouche. See more honeymoon ideas in the Americas. 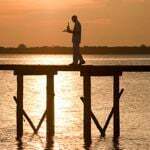 A safari in Africa is increasingly popular with British honeymooners, and there are great opportunities to combine bush and beach for a fabulous, unforgettable experience. 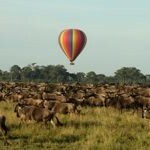 Tanzania is a good choice in March and its luxury camps combine very nicely with the exotic island of Zanzibar. This 12-night honeymoon combination features game drives in the Serengeti, a stay at the Sanctuary Ngorongoro Crater Camp and beach time at the fabulous Baraza Resort. In Botswana it’s the end of the green season, when the bush is lush, visitor numbers are low and there are newborn animals to view in Chobe National Park. In South Africa, the Western Cape is at its best in March (24ºC and 9 hours of sunshine). This 12-night Luxury Cape and Coast honeymoon includes Cape Town, a safari and a stay at the Oyster Box Hotel near Durban. In the Winelands, you could treat yourselves to a luxury stay at Sir Richard Branson’s Mont Rochelle (it’s also a fab place for a wedding). East Africa is enjoying its dry season: you could enjoy a safari in Kenya then take a direct onward flight to the Seychelles (31ºC and 8 hours of sun) where the turquoise waters will be calm and clear. You should avoid Mauritius at this time of year where cyclones are possible. See more ideas for safari honeymoons. In the Maldives, you can bag a great value honeymoon by going all-inclusive. Popular choices include the four-star Kuredu Island Resort which has a choice of villas, suites and bungalows set on 3km of white sand beach, plus two pools and four restaurants. For a step up in luxury, NIYAMA Maldives has gorgeous pavilions with private pools and an underwater nightclub. You can spend a night at sea in a luxuriously-fitted traditional sail boat, complete with a personal chef and butler. If you’re up for a major adventure and don’t mind the long flight, head to New Zealand. It’s a lovely time to visit, towards the end of summer. Try a self-drive honeymoon and explore mountain ranges, glacial lakes, forests, hot springs and dramatic coastlines. You can also rent a motorhome. In Australia, Qualia is a gorgeous beachfront hideaway, which can easily be combined with Sydney, Uluru and the Great Barrier Reef. See more honeymoons in Australia. What could be more magical than India. Take your pick from palaces, beaches, temples, wildlife safaris, city shopping and romantic train rides. You can now combine India and the Maldives on an exciting two-week honeymoon. 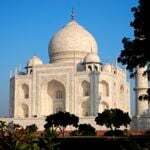 You’ll start in Rajasthan with a private tour of the most romantic sights – including the Taj Mahal – then take a five-hour flight to the Maldives for a a stay at the fabulous all-inclusive Cinnamon Dhonveli. 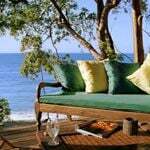 Another great honeymoon destination in March which combines culture and beaches is Sri Lanka. Weather patterns vary across the island but March should be reasonably dry and not so humid. Find honeymoon ideas in Sri Lanka and choose from a great selection of hotels including Vil-Uyana and Amanwella. You can also combine the Maldives and Sri Lanka – a wonderful mix of culture and lazy beach time. This two-week twin-centre honeymoon is one of the most popular ways to do it. A lot of flights to the Maldives go via Dubai or Abu Dhabi so it makes a lot of sense to combine the Maldives with the Arabian Gulf. Opt for the glamour and buzz of Abu Dhabi or go for the triple: Sri Lanka, the Maldives and Dubai in less than two weeks. Vietnam is another good destination for a culture-meets-beach honeymoon in March. If you want to see all the sights, check out this classic two-week Vietnam in Style honeymoon which visits Saigon, Hoi An, Hanoi, Con Dao and Halong Bay. For a more unusual honeymoon, the Philippines delivers natural wonders, paradise islands and white sand beaches. It’s known for its diving but the snorkelling is also world class, and you could swim with turtles, trek through rice terraces, climb a volcano and stay in a tribal village. Check out these ideas. March is cherry blossom time in Japan, an inspired honeymoon destination, particularly if you are foodies. It’s a land of dazzling cities, ancient culture, superb mountain and beach scenery. I recommend this selection of honeymoons in Japan. March is a great month to visit Venice. With few tourists, you can really appreciate the beauty of the city and crisp spring sunshine on the lagoon can be incredibly romantic – and if you really want to do it in style, you can travel there by Orient-Express. 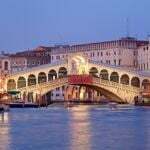 This selection of hotels in Venice includes the stunning Ca’ Sagrado which overlooks the Grand Canal. If you’re an active couple, a cycling tour in Italy is a good idea for March when the heat of summer is yet to arrive and the roads are quiet. Some great ideas here with destinations including France, Spain, Italy and Portugal. You can even opt for an electric bike. The Mediterranean can be warm and sunny in March if you head as far south as possible. Cyprus is far south as you can go before hitting the Middle East and it’s low season so you can expect some great special offers. Check out the prices on five-star pads such as the Elysium Resort Hotel and the Asimina Suites. It’s also an interesting time to visit Iceland with its hip bars and restaurants and stylish boutique hotels, such as the Art-Deco Hotel Borg. 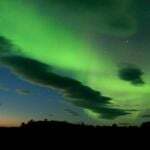 Although the spring days are getting longer, you still have a good chance of seeing the Northern Lights. I recommend a stay at the Hotel Ranga which is set amid mountains and glaciers on a salmon river with its own geothermal outdoor hot tubs. If you really want to embrace winter, why not head for the snowy wilderness of the Arctic. Artisan Travel offers a great selection of romantic honeymoons in the magical wilderness of the Arctic Circle. You can stay in one of these ice and snow hotels including a glass igloo where you can lie back and gaze up at the Northern Lights. For more cosy ideas in the snow, you could snuggle up at the unique Treehotel in Sweden or try ice fishing and a husky safari on an adventure honeymoon in Finnish Lapland. 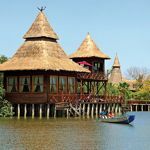 >> Also see my pick of the best honeymoons at Easter. 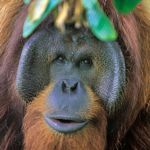 > See our sister site 101 Holidays for expert tips on where to go on in March and find where’s hot.